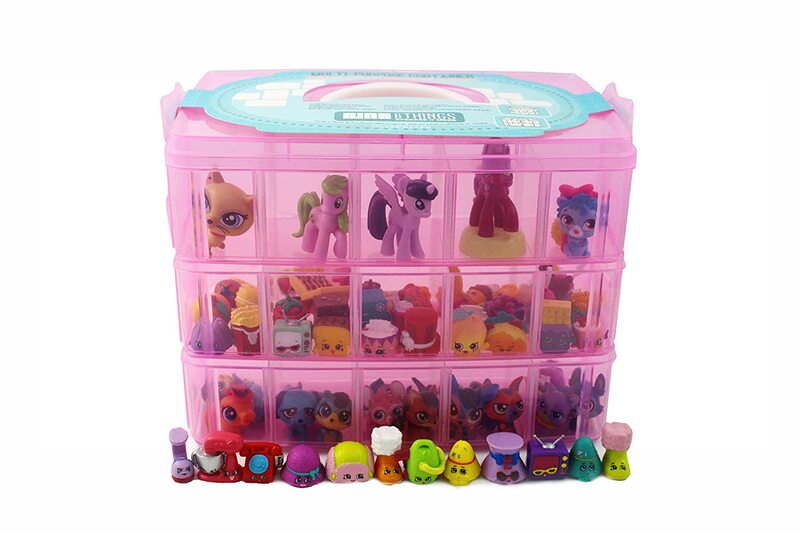 ✔ ​PROTECT & ORGANIZE YOUR COLLECTION - Our cases are fully compatible with all seasons of Shopkins as well as Littlest Pet Shop, LOL Surprise Dolls, Hatchimals, Rainbow Loom Bands, Disney Tsum Tsum Figures, Legos, Beads, Palace Pets, Qixels, Beados, Pickmi Pops, Barbie clothes and accessories, and any other small-sized toys, tiny figures or miniature play collections! 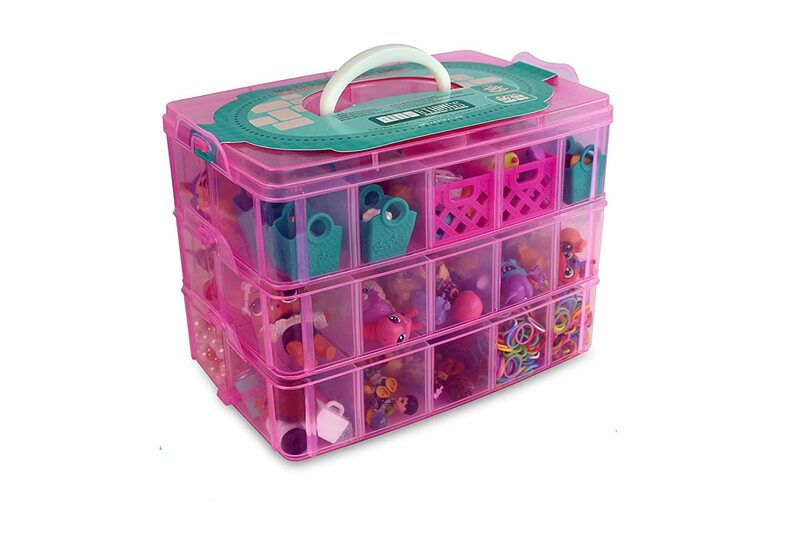 This plastic case is the perfect addition to girls' collections! You'll have a very happy child and a very tidy play area! ✔ ​ALL YOUR SUPPLIES IN ONE PLACE - Our organizers come in both pink and clear, and are perfect containers for grown-up collector's accessories too! 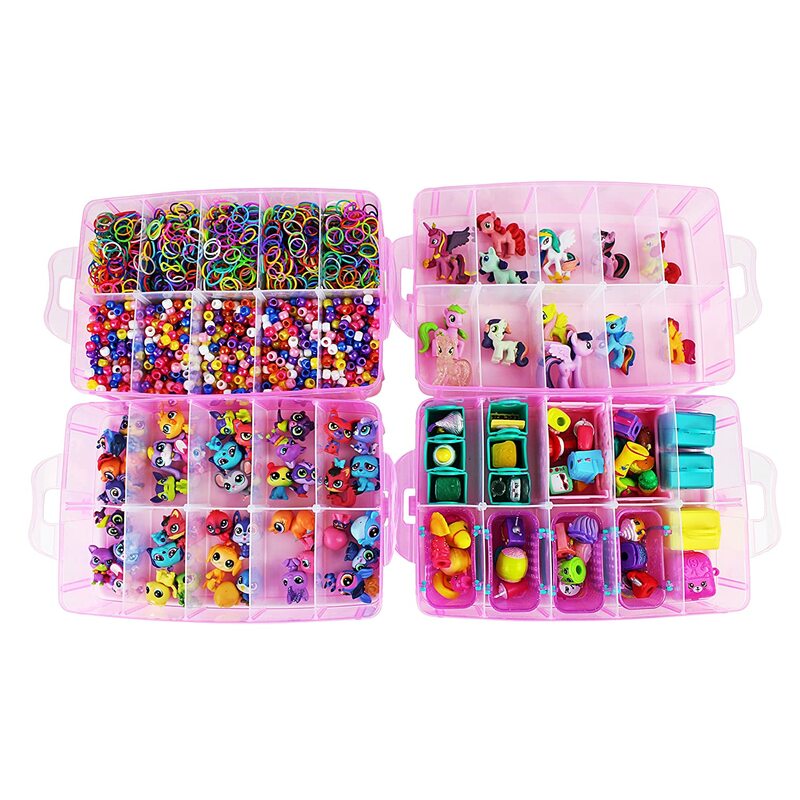 Our boxes' dividers are large enough to hold jewelry, nail kits and polish, makeup, perler beads, arts and crafts sets, sewing supplies, spools of thread, fishing tackle, model parts, anything you like - the choice is yours! ✔ ​DURABLE, STURDY CASE - Built from hard plastic, this organization container includes a lid that snaps shut to ensure all its contents stay safe and sound. 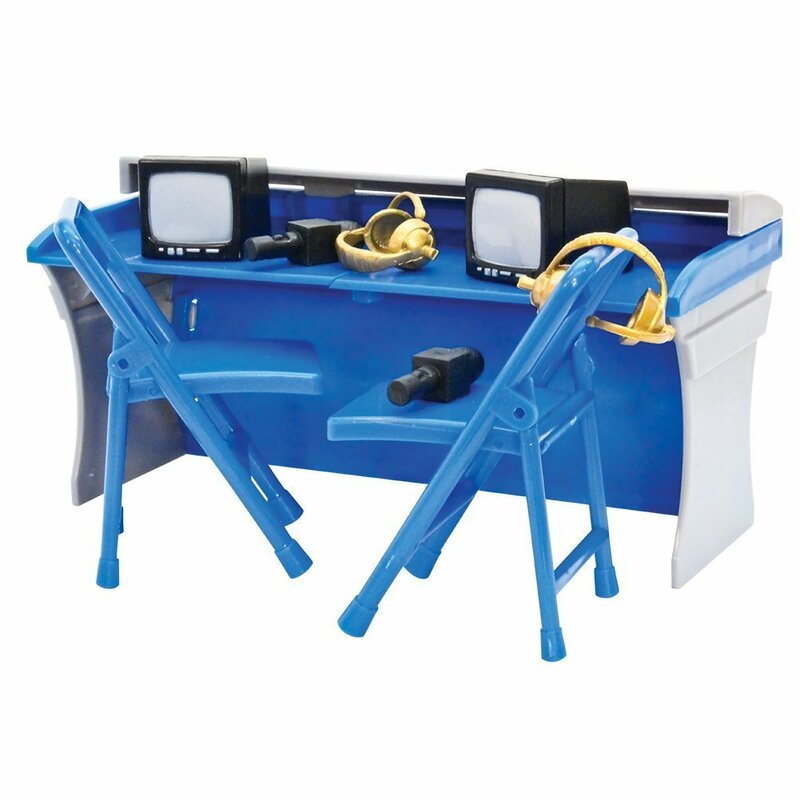 Robust and durable with high-quality materials, the Bins & Things storage box is sure to last you for years to come! 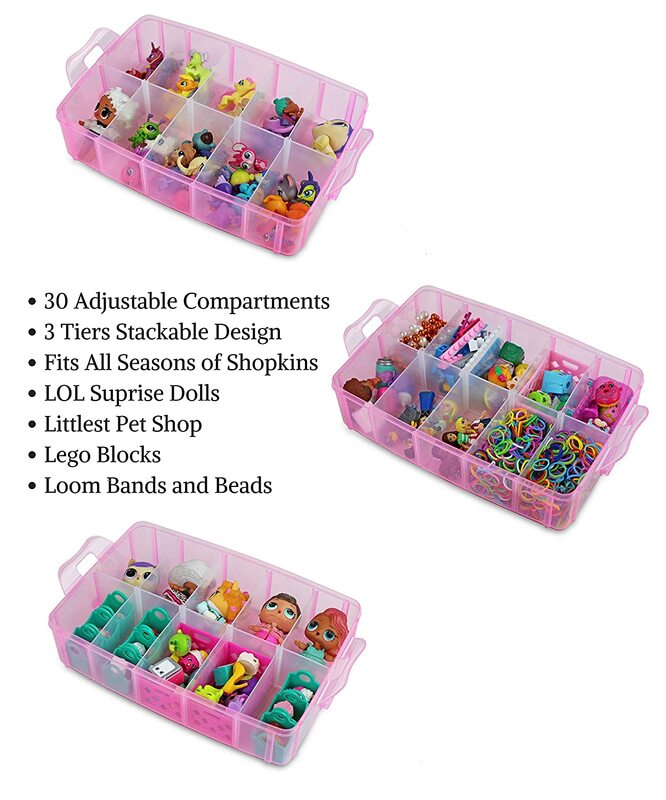 ✔ ​3 TIERS, 30 ADJUSTABLE COMPARTMENTS - This grid display box features 3 trays, each with 10 individual storage sections for a total of 30 adjustable compartments - each divider wall can be easily removed to create custom compartment dimensions to fit any toys or accessories, organizing and displaying them all at once! ✔ ​LIGHT & PORTABLE - This supply case is lightweight and fitted with a handle for carrying toys, making it easy for your kids to transport their collections around the house, to friends' places, or on family trips and holidays! 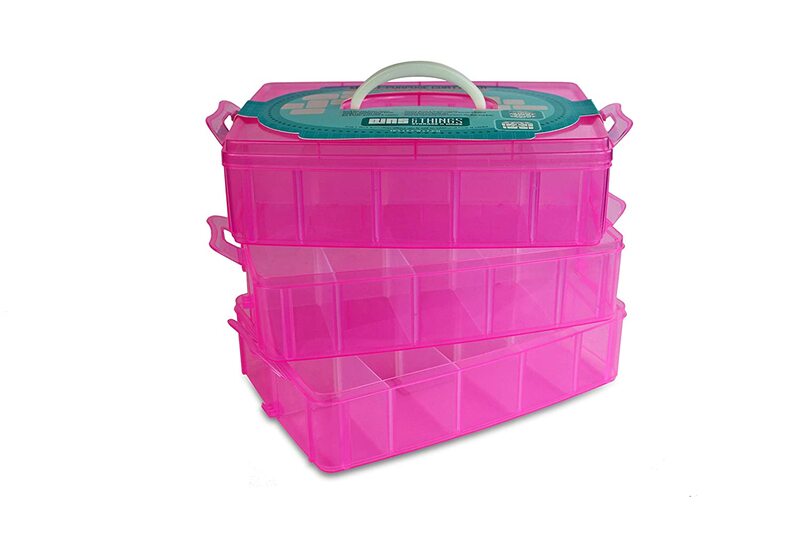 The Bins & Things Stackable Storage Container Provides plenty of space for all your storage needs! 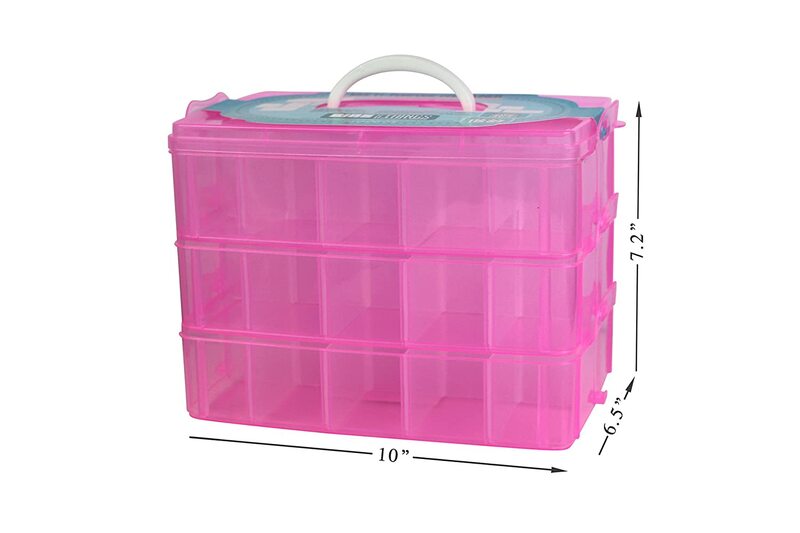 Save yourself the hassle of mixing or misplacing your small household items and instead keep them neatly organized in this convenient plastic storage case. Featuring high quality construction, your case is made from tough, durable plastic that is sure to last well into the future. 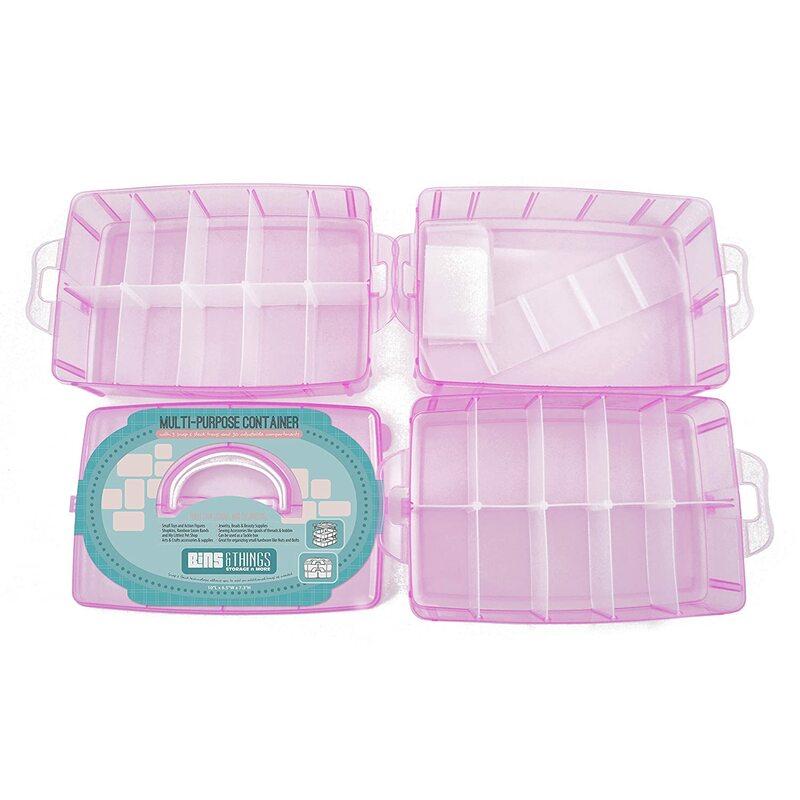 Our clear, lightweight plastic storage container allows you to conveniently organize your sewing supplies (thread spools, bobbins , etc. ), beads, scrapbooking supplies, nail art supplies, fishing tackle and hooks, small hardware, arts and crafts accessories & more! Store thread spools and bobbins organized by color, keep jewelry beads neatly grouped together, and arrange any other small art supplies you may have all conveniently in one place. 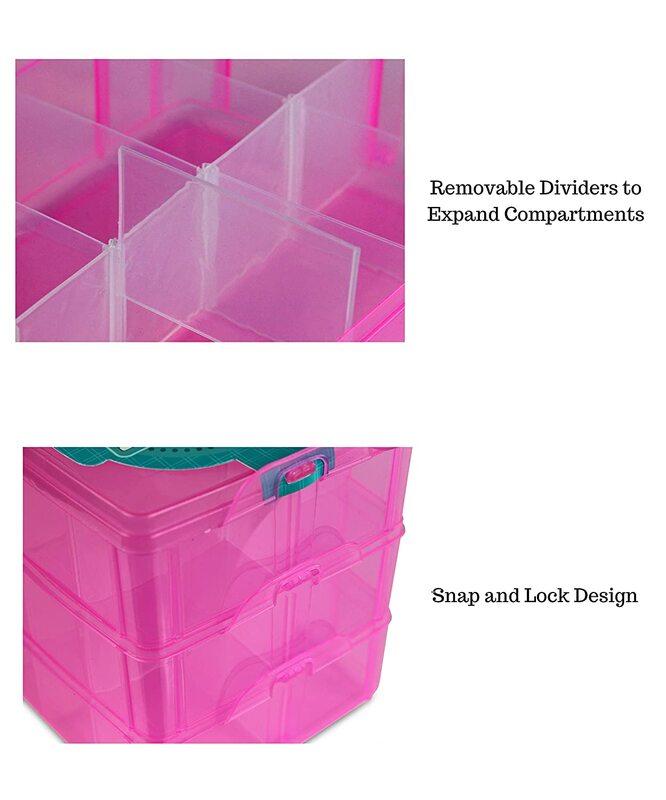 Compartments are sized at approximately 3.75 X 2.5 X 2.75 inch., but each divider wall can be removed to customize the compartment sizes in order to fit larger items. A must-have addition to your home, don’t wait to order the best plastic organizer case on the market today! Click “Add to Cart” now to have your brand new Bins & Things Storage Box rushed directly to your door! This bin is ok. The compartments are big enough to hold Shopkins, blind bag figures, and other random figures my daughter has. However, the plastic case is a little flimsy as well as the side snaps to hold the different cases together. My 4 year old, and myself, found the latches hard to open and close. We only used this for a few weeks and I ended up replacing it with a Sterilite stackable container instead for cheaper and better quality. this product was meant to be the primary housing for my 6yr olds miniatures collection, which has since grown from the time she was 3yrs. we no longer use it as i noticed about a month in to using this container it was difficult to close and eventually we weren't able to close it at all because of the way the snaps are made. also, the separators for each bin that i thought would prove useful to mix and match spaces for odd shaped miniatures was a flop :( the more my little one seemed to handle the container, the more the wear-and-tear seemed to show how poorly constructed this item was made to withstand normal, everyday use. This container works as advertised. I appreciate the color, the three levels, and the ability to adjust the container/slot sizes within by adding/removing adjustable 'panels'. I knocked off a star because I feel it's not going to last as long as I wish it would. The clasp at the sides doesn't feel hardy enough; the plastic feels thin-ish. I'm a hobbyist and won't be using this container as much so it's ok - I just have to be careful and mindful when locking/unlocking the tiers. I usually buy a heavier duty brand of container that has tiered levels but that brand doesn't make a container such as this one. That container only has two levels, it's smaller all around, and does not have adjustable panels to separate different thinga-ma-bobs. I use this container to store dried, small to medium molded flowers/butterflies/ leaves made from gum paste for cake/cupcake/cookie decorating. I like to make different molds at a time so that when I need a decoration, it's dried and ready to be dusted/lustered etc. When I ordered this, I was going to order two - one for myself and the other for my little girl's collection of Shopkins, My Littlest Pet shop, etc. I'm glad I ordered one to test out first. I don't believe this would last with a small child since they generally are not patient; they'd probably brake this container and/or need your assistance to help them close the tiers. If you have a child that's patient and/or older, this might work well for them. Really nice storage container to keep all the little items organized. Easy for kids to use and my kids really enjoy being able to separate their favorite toys. 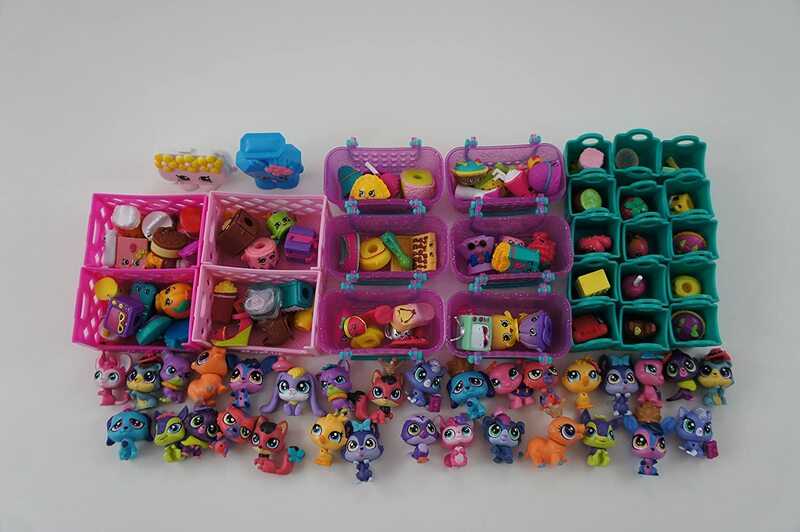 By separating them, it also makes it easier to find the small toys instead of looking through a bucket or pile. They do at times forget to lock and then oops, but itu2019s fixes with ease. 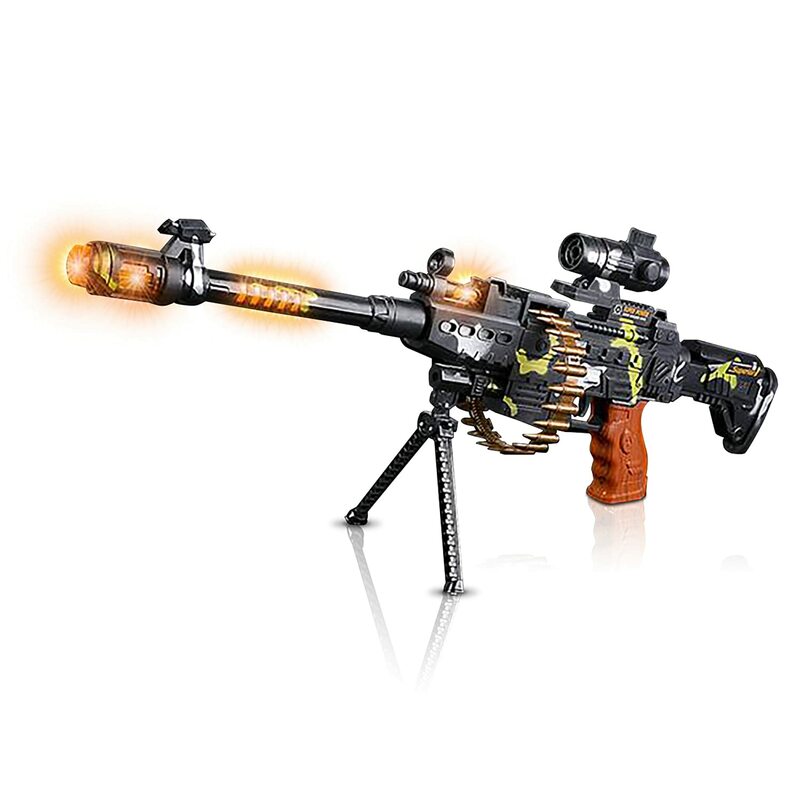 Overall pretty good item. This is a perfect box for all those figures that your little one plays with. Keeps things organized and they love carrying it around. Not just for lol dolls. The compartments can open to make the slots bigger for bigger figures. Def a good item to have around if ur child loves playing with figures. Not great, but good. Purchased for my granddaughters shopkins. She is 5 and manages to get it to work after some mommy help We added shopkins stickers and her name and put some surprises in it for her birthday and she did enjoy that. Likes all of the compartments and they are movable. Down side is it is a bit cheap especially at the hinges. If you do not get it closed properly it will fall apart. Love it look forward to buying more in the future. This product really help the OCD part of me come to some form of peace. Secure snaps, fairly deep compartments about 2 inches deep. Love it. of, like, or decorated with chintz.